The First National Bank of Long Island is the sole subsidiary of The First of Long Island Corporation. The Bank currently has 36 branches located in Nassau and Suffolk Counties and Manhattan. The Bank is the largest independent commercial bank headquartered on Long Island. The Bank has more than $2 billion in total assets. Mr. Vittorio started his banking career as a teller in 1975. His background includes Branch Management, Branch Administration, Commercial Banking, Credit, Risk Management and Insurance. 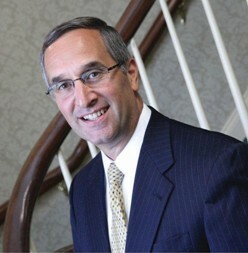 He came to The First National Bank of Long Island in 2002. He was named President and subsequently CEO shortly thereafter. Under Mr. Vittorio’s leadership, the Bank has more than tripled in size and the stock has appreciated over 107%. When dividends are included to the increase in stock value, the return has been approximately 138%. A hallmark of the Bank remains its cult-like dedication to credit quality. Mr. Vittorio is a board member of the New York Business Development Corporation and the Long Island Association. He also serves on the Policy Council of the New York Bankers Association. CEOCFO: Mr. Vittorio, every bank has their own story and philosophy. Tell me about First National Bank of Long Island. Mr. Vittorio: We started eighty five years ago as of October. The bank started because local business people and local farmers could not get personal service from the then “large banks” of New York City. Therefore, we capitalized the bank with fifty thousand dollars and started the bank way back in 1927. We have been growing ever since, servicing the Long Island and New York Metropolitan markets. CEOCFO: What is the geographic reach today? How far into New York are you? Mr. Vittorio: We have three branches in Manhattan. We have thirty three branches here on Long Island. We stretch as far east as Port Jefferson Station and Bohemia, and as far west as downtown Manhattan. It is a stretch of about sixty-five miles in terms of breadth of geography. CEOCFO: That is quite a wide range. How do you get the synergies of the name when you are not on every corner? Mr. Vittorio: I do not think you have to be on every corner, because it depends on what your target markets are. Our target markets are small business, businesses doing between one and ten million dollars in annual sales, middle market companies doing annual sales between ten and fifty million dollars, professionals, which we consider to be doctors, lawyers, dentists, CPA’s and affluent consumers. That would be households of one hundred thousand dollars and more. As we build branches, and we will be building more branches in the future, we look to see where there are critical masses of those types of target markets and then build accordingly. CEOCFO: Why are people coming to First National? Mr. Vittorio: There are a lot of financial organizations which are options for the marketplace. We all compete for the same business. Many community and small regional banks say this, but I think people choose The First National Bank of Long Island because of the personal service that we deliver. In our particular case, as I characterized our targets markets, i.e., middle market companies, professionals, affluent consumers, small businesses, these customer segments want to feel that there is strength and stability in the balance sheet of the bank that is their business partner. Many surveys have documented this over the years. Over the last five years, our Bank has distinguished itself in terms of asset quality and growth measured against our peer group, in terms of ROA, ROE and our Expense to Revenue Ratio. For instance, the American Banker just reported that within the state of New York and within the New York metropolitan area we have the best expense to revenue ratio in the state and sixty ninth best in the nation. This is in spite of the fact that we happen to do business in probably the most expensive geography in the country. In terms of ROA measured against our peer group of banks between one and three billion in assets, our ROA has been 1.03 bps next to 77 bps for our peers. Our ROE has been almost 11% next to a peer group average of 7.48%. The Efficiency Ratio of the peer group has been 70% versus our efficiency ratio which is just under 50%. When you look at us in terms of balance sheet ratio’s, in terms of growth, in terms of personal service, we seem to be what attracts the kinds of target markets that we are after. Then when you look at us as an investment, we feel we are an investment of choice. Over the last four or five years, arguably the worst economic environment in the history of the country, our stock has appreciated on a compounded annual growth rate more than 10%. Over the same period we have probably increased our dividend more than any bank in the country. I am serious about that; check it out, more than any bank in the country. That tells you how management and the board feel about our future earning prospects. CEOCFO: I am sure you have been asked this a lot. How have you been so successful when so many others bank have not? Mr. Vittorio: We have taken a very measured and disciplined approach to growing the balance sheet. We have been on the conservative side. We stayed with conservative LTVs of 65 to 75% when other banks increased their LTVs to 80, 90 and even 100% of value. When other banks accepted debt coverage ratios of nearly 50%, we were staying between 38 and 42%. When other banks were setting policy for FICO scores at 620, we were setting policy for FICO scores at 700. A FICO score, for a consumer, measures credit risk. If you have a 700 FICO score, it is like a 300 hitter in baseball. The kind of portfolio that we are booking was solid. Our lineup had a lot of 300 hitters. We took asset quality serious when others did not. We knew that cycles turn. We built this organization stone by stone, looking at each individual transaction one at a time measured against the changing environment. We continue to do that even though we are over two billion dollars in assets as of today. CEOCFO: Was it difficult to stay the course? Mr. Vittorio: It is always difficult to stay the course. CEOs in particular are always under pressure from various spheres of influence not to stay the course. People have a tendency to always look at the other side of the fence. “Why is this one doing this and that one doing that”. The important thing is we did stay the course. We did stay measured and disciplined and when the stuff hit the fan, so to speak, no one argued with the approach. That is why our financial performance has been what it has been and why the stock, as an investment, has created so much value for our share holders. In the last ten years we have grown our market cap more than $170 million. Market cap is a measurement of the wealth you create for your shareholders. Our market cap, as of today, with a stock price more than thirty one dollars is around two hundred and seventy five million dollars. That is really what the focus has to always be about. If staying the course benefits and creates value for your shareholders then the discipline is well appreciated. That usually is demonstrated, only over time. CEOCFO: Could you give me an example or two of something that would be done at First National of Long Island that would not typically be done? Mr. Vittorio: As I said, our target markets are small businesses, middle market companies, professionals. You have money center banks and you will not find the CEOs of those banks visiting the five million, ten million, and fifteen million dollar commercial businesses in our local market. They are global banks. This is not a priority for them. You will not find the senior credit officers of those institutions visiting those kinds of sale size businesses. You will not find the true senior management team, maybe some people with titles, but not people with real authority visiting those kinds of businesses. It is absolutely commonplace within our organization for us to know our middle market customers, our upper end small business customers and our professional businesses -- law firms, medical practices, and so on, in which we do business. That is just one example of something that does not happen in large institutions, but it happens here with us. CEOCFO: Are there services that you would like to offer or that you have on the drawing board that you do not provide today? Mr. Vittorio: There are a few. We do have plans to create a more robust mobile banking product. We are looking at some technologies; integrations of products that I think will benefit our customer base and our ability to increase our market share. However, for the most part, based on the markets we have chosen to do business with, we have an arsenal of products that supports all of our marketing and prospecting efforts. We service our customers well. CEOCFO: Does the long history of the bank count when people choose to do business with you, or is it really “what can you do for me now”? Mr. Vittorio: There is always a little bit of an element of “what can you do for me now”. However, I think the market place does appreciate the consistency of approach, the consistency of staff, the fact the name has been around for so long and the expansion that has been going on in our geography. We have built eighteen branches in the last ten years. That has really enhanced our reputation and brand of banking in our local markets. That works very well with an eighty five year history to make us a recognizable name in what is arguably one of the best retail markets in the world. CEOCFO: Do you do much advertising? How do you reach potential customers? Mr. Vittorio: In the last five years our marketing and advertising efforts have increased dramatically. The local paper here that everyone is familiar with is Newsday. There is a variety of local papers that everyone is familiar with. We now advertise fairly heavily in Newsday and also in local papers. We advertise significantly on the radio. We are actually advertising on the New York Yankees radio station, talking about our bank, our longevity, the fact that in 1927, the year that the Yankees had “maybe” their greatest team in their history and “Murderers Row” which was Meusel, Ruth and Gehrig, our organization was born. It’s gone over nicely. Our radio efforts and Newsday advertising efforts of locations and of products and services has really helped our on-the-ground marketing efforts. It has created a positive feeling about the bank that it is a strong financial institution with local management, people who understand the market and live in the marketplace. It is kind of nice to do business with a formula like that. Where people can relate to each other and where real senior management is not managing from a faraway location. Then there is our financial performance, which as you look into it, has really been stellar. As I referenced before, our dividends per share increased over the last four years, on a compounded annual growth rate of almost 12%. Find a bank that has done that. Over the same period, our book value per share increased almost 20%. Our earnings per share, as I said before, over the last five years, inclusive of this year, are well over ten percent on a compounded annual growth rate. When I say we are an investment of choice, and the investment community starts to learn more and more about this organization and consistency of performance and philosophy of management and the board, they find us to be an interesting investment opportunity. It is a good time for us to be advertising and prospecting for customers. We have a lot to talk about. CEOCFO: Are many of your customers taking advantage of the full range of services? How do you get them to do more with you, including their personal banking? Mr. Vittorio: As we grow our branch system more customers and prospects are using our services. Branches remain key to our expansion plans. As knowledge of our financial performance grows, our chosen target markets choose to do business with us. They like the stability. They like the consistency. With 36 branches, we can now more efficiently leverage off the expense dollars we are investing into print advertising and radio. These are dollars well spent. Our personal service approach has made us a viable alternative to doing business with a money center bank. We have developed a more robust sales management approach which is helping us cross-sale personal banking services to our customer base. Success breeds success. Our people are happy. They feel they make a difference and this also affects an organization’s ability to acquire business in the marketplace. So many employees in large organizations feel they are only a number and not really a part of the growing concern. We encourage employee enthusiasm and initiative, and if channeled appropriately, help us to continue to develop share. It is not a centralized approach often associated with a large organization. It is a different culture. The culture you create within your organization will help you to build customers and cross sell products and services. CEOCFO: Why should people be interested in First National Bank of Long Island? Is there anything that potential investors might not understand about the bank that you would like them to know? Mr. Vittorio: I would say that the hallmark of our Bank, which has allowed us to be successful in appreciating our stock price and increasing our dividends and book value, has been almost a fanatical or cult-like dedication to asset quality. We manage many risks. I always tell the board that there are five risks that we manage. The first is credit quality, the second is credit quality, and the third is credit quality. Then we manage liquidity risk and duration risk. Obviously, there are more risks than that, but these are paramount. We have infrastructure that money center banks did not have ten or twenty years ago in terms of our reviews, our policies and the technology we have integrated into our risk management disciplines. When you only have twenty three basis points in non-performing loans against a portfolio of over $1.1 billion, something is working right, especially when you are able to maintain this ratio year over year through the kind of recessionary environment we recently went through and continue to go through. Although this is pretty good performance in this business, you never spit into the wind. You always take a humble approach. Things can turn fast and your efforts always have to be at 100% to maintain your positioning. In fact, make that 110%. You keep your head down and always remember it’s a “blue collar” approach. You have to work every day as hard as possible to maintain that credit quality, which does differentiate us from our peer group and as an investment for those looking for a valuable stock. It is a management philosophy, and I welcome the opportunity to get more investors to become familiar with our management team.